We have worked hard since 2004 to find suitable modern trouble free drive units to replace your tired original units and below are some beautiful examples of what we can offer. These are tried and tested 100% new units with great reviews since 2004. 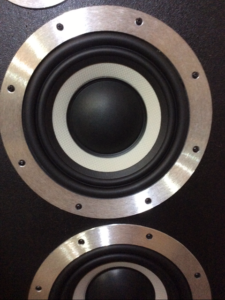 We only offer 1 midrange option as they are most excellent and higher definition but we offer 2 bass units the white cone being 4 ohms, high power and delivering an extra bass kick which works well off most modern amplifiers – EVERYONES MAKING THE CHANGE! PAY EASILY WITH PAYPAL (contact us for details). New for 2019 this updated replacement mid unit which is a perfect replacement choice. Manufactured by Kef and Comes complete with matching outer ring ready to screw into cab in seconds! The customer reviews are amazing on this unit. £49 each and available worldwide at buyers postage costs (variable on country) or collection from West Midlands UK free! 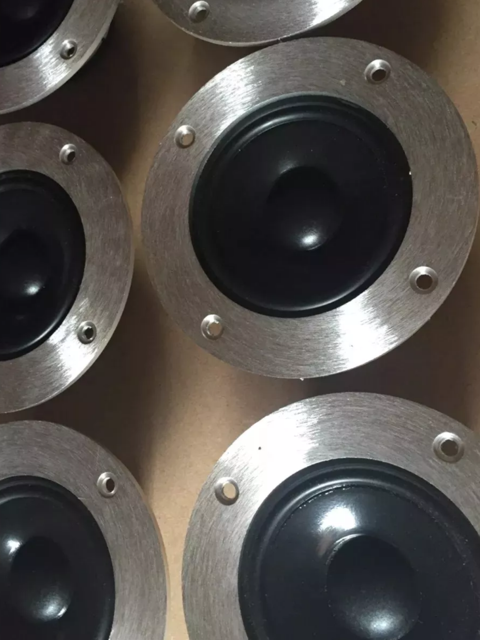 New for 2019 this high powered 100 watt 8ohm 4″ treble unit which gives a vastly brightened HF. Comes complete with outer ring which is also available in original matching brushed aluminum finish. NOTE: this unit will require you to widen the original tweeter hole by around 5mm to all edges so you’ll need to be confident to be able to file, jigsaw etc! 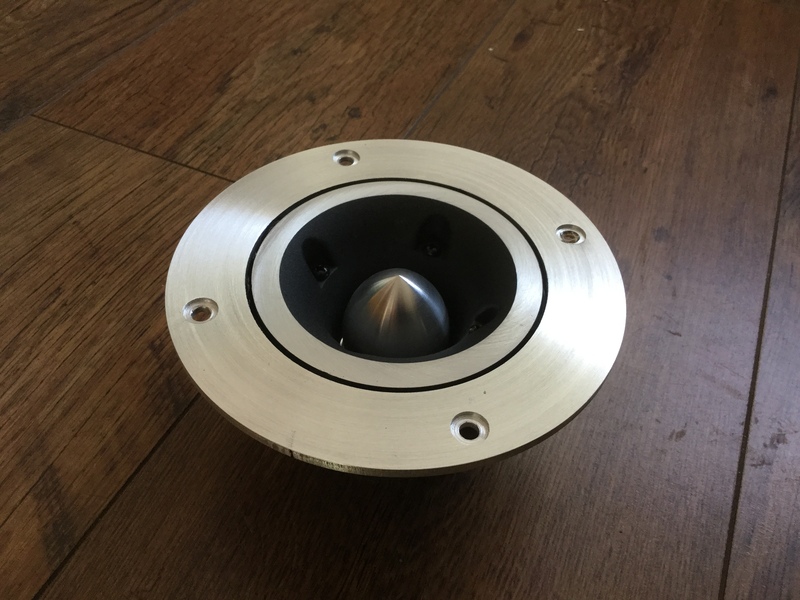 The screw holes and outside diameter is the same as the standard surround £89 each and available worldwide at buyers postage costs (variable on country) or collection from West Midlands UK free! 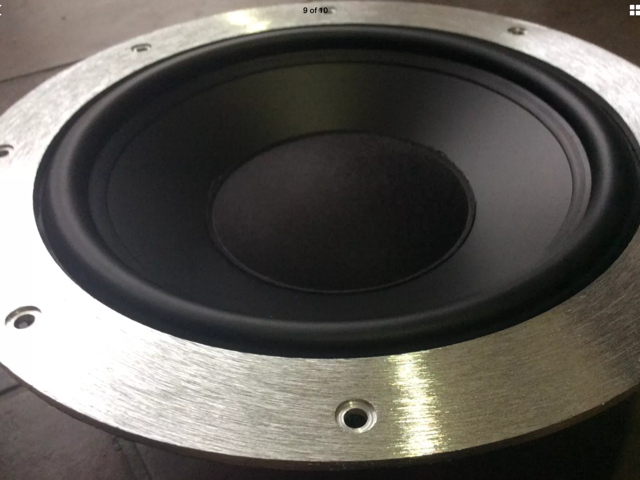 New for 2019 this high powered 350 watt 8 ohm 10″ bass unit which gives a vastly improved total response on all models. Comes complete with outer ring ready to screw into cab in seconds! The customer reviews are amazing on this unit. £99 each and available worldwide at buyers postage costs (variable on country) or collection from West Midlands UK free! New for 2019 this high powered 550 watt 10″ bass unit which gives a vastly improved bass response on all models. Comes complete with outer ring ready to screw into cab in seconds! The customer reviews are amazing on this unit. £129 each and available worldwide at buyers postage costs (variable on country) or collection from West Midlands UK free!